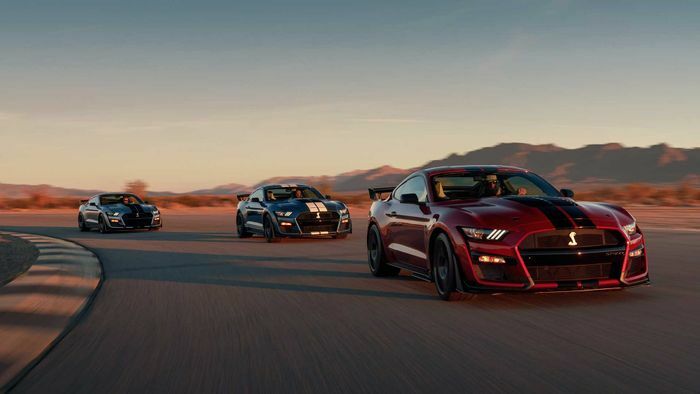 Ford has finally delivered an official response to the Dodge Challenger Hellcat and the Chevrolet Corvette ZR1, and just listen to the noise it makes! 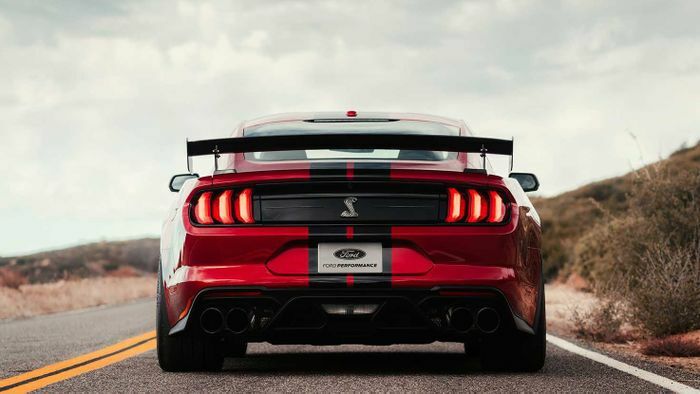 The Ford Mustang Shelby GT500 has just been unleashed at the Detroit Motor Show, and God almighty – it sounds incredible. A supercharged cross-plane V8 sits beneath a package tweaked solely for speed. That means an all-new dual-clutch gearbox (no manual option) with the ability to swap cogs in less than a tenth of a second, but never mind that: play the damn video again! We don’t know exact performance figures, presumably because every time they try to measure it, everyone in the vicinity immediately starts making excuses to leave at a jog while awkwardly covering their crotches. We do, however, know that it’ll do the standing quarter in less than 11 seconds and hit 60mph from rest in the mid-three-second bracket. Ford is calling it a ‘takedown artist’ in reference to the purpose for which it was built. Special Michelin tyres will handle traction, the poor things, and they’re not the only things that are out of the ordinary. 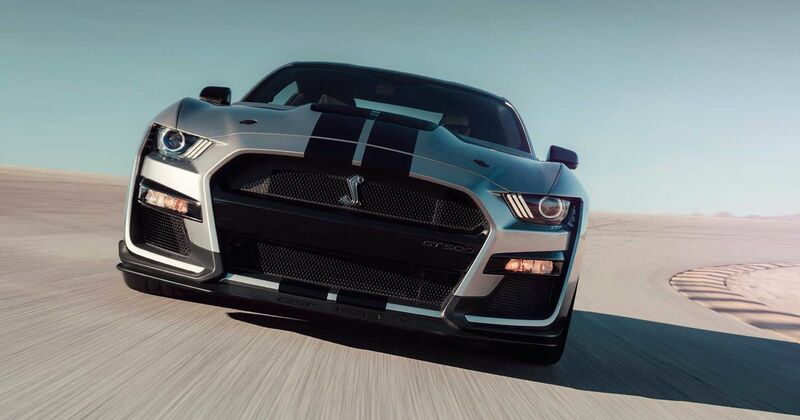 The GT500 has a carbonfibre driveshaft, MagneRide dampers and new aerodynamic bodywork designed to keep the car stable on track and at speed. Your colour options span imaginatively-named shades like Red Hot, Twister Orange and, err, Grabber Lime. Presumably because it grabs your attention? Let’s hope so. 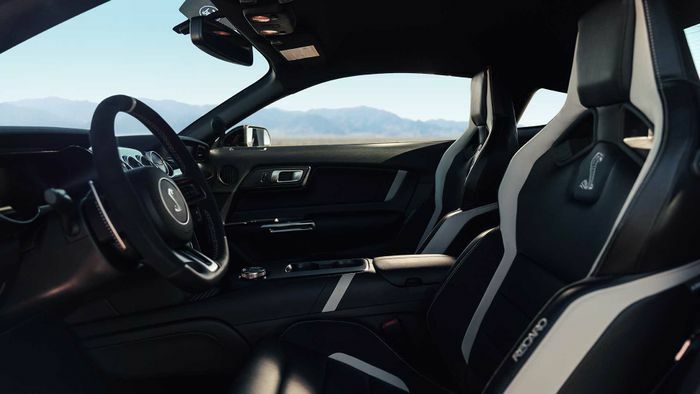 Among the other options are a rear seat delete, a Carbon Fiber Track Pack with larger wheels and Pilot Sport 4S rubber, exposed carbonfibre everywhere and Recaro leather-and-suede chairs (pictured), and multiple stripe options in either paint or vinyl. When you’re not hunting rival muscle cars (surely we can’t call this a pony? ), sit back and enjoy what’s effectively just a pleasant, modern Ford with the likes of a 4G hotspot, a rear-view camera and a 12-inch SYNC3 interface. Now play that video again.